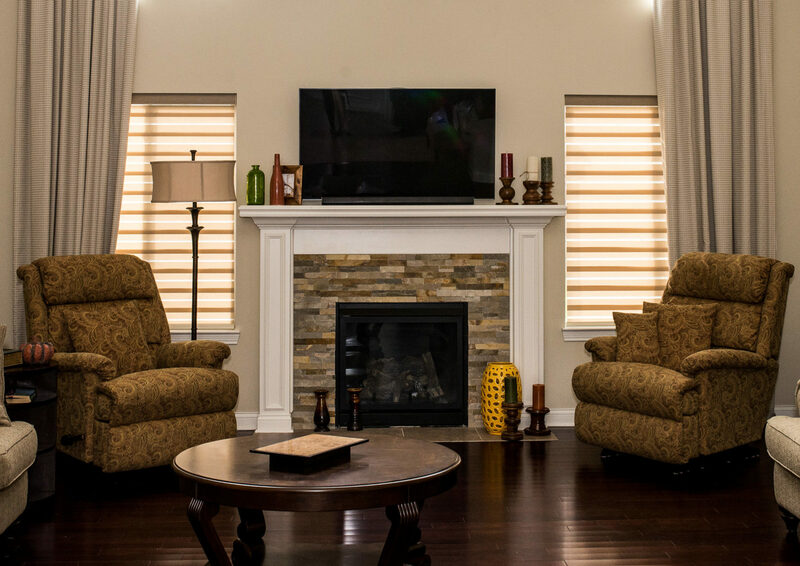 What makes Vertical Vic’s unlike other blind retailers is that we have an experienced staff that can customize your order to fit your needs and offers options to offer sun control, insulation and privacy as well as being aesthetically pleasing. Vertical blinds are an excellent design choice for many rooms that have patio doors or large windows. The vertical blind is more versatile for large windows because they open sideways and have adjustable angles for optimal light allowance. For smaller windows traditional blinds are often used to alter the light allowance and to help regulate room temperature. The horizontal blinds available at Vertical Vic’s range from standard aluminum blinds to heavy duty wooden slats. Vertical Vic’s has a wide selection of fabrics to choose from to make the drapes that will best suit any room in your home. We have everything from sheer fabrics for more light allowance to heavier fabrics that we can customize to fit any window or door. For a homey feel with the look classic wooden accents you can choose from our selection of window shutters to make any room feel cozy. These indoor shutters add an extra design element to the room with the ability to let in a lot of light or no light at all. We offer blind repairs and cleaning on all of our custom products as well as on brands we supply. We work our best to make your experience hassle free. We have parts available in the showroom and a staff ready to help you with all your needs. Keep in mind that what makes Vertical Vic’s unlike other blind retailers is that we have an experienced staff that can customize your order to fit your needs and offer options to offer sun control, insulation and privacy as well as be aesthetically pleasing. Take advantage of our innovative ideas and excellent service. Bring your measurements into our showroom for a customized quote.